Children’s language learning is shaped through the social contexts of children’s earliest experiences at home and in early childhood education settings with responsive caregivers. Facilitating high-quality interactions between early childhood educators and children affords opportunities to foster language rich exchanges and promote strong language skills. 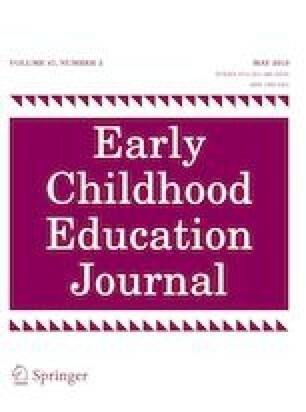 The present study investigated the impact of a language-specific professional learning program on the quality of educator-child interactions and the associated short-term effects on vocabulary knowledge in young children. Educator practice was compared across 38 early childhood education and care services (19 participated in professional learning and 19 were a comparison group). After the professional learning program, significant differences were observed in the instructional quality in services where educators had participated in the Learning Language and Loving It™ program compared to those services who had not. More than one educator in a room participating in the professional learning was associated with higher instructional quality, educator qualifications were not associated with higher quality. We conclude that discipline-specific knowledge and individual coaching of teaching strategies enabled an increase in the quality of educator’s interactions with young children. No differences were detected in children’s vocabulary knowledge between the professional learning and comparison groups following the LLLI program. This finding is discussed with respect to minimum levels of instructional support required to impact children’s development. Quality improvement programs need to engage with early childhood education services regularly and over sustained periods to ensure the quality of educator interactions reaches levels that impact on children’s outcomes. We acknowledge the contribution to this project of our colleague and friend, the late Emeritus Professor Collette Tayler. She is remembered for her educational and research leadership, and passionate vision for quality early childhood education for all children. The Every Toddler Talking Project was supported by the Victorian Government, Melbourne, Australia.